On June 23, 2016, Britain took the enormous decision to leave the European Union, after 51 percent of the population voted out. Prime Minister Theresa May has since triggered Article 50, which gives the country the right to leave the European Union with a projected exit date of March 29, 2019. Until that date there are many things for the UK government to decide, but in the meantime, many businesses – and people – are wondering what the future holds for a post-Brexit Britain. European CEO looks at what the best and worst outcomes may be. With Brussels-based economic think tank Bruegel estimating that the Brexit bill could range from €25.4 billion to €65.1 billion in the long run, this hurdle is obviously a huge obstacle to get past. But Brexit secretary David Davis thinks he may know a loop-hole around it. 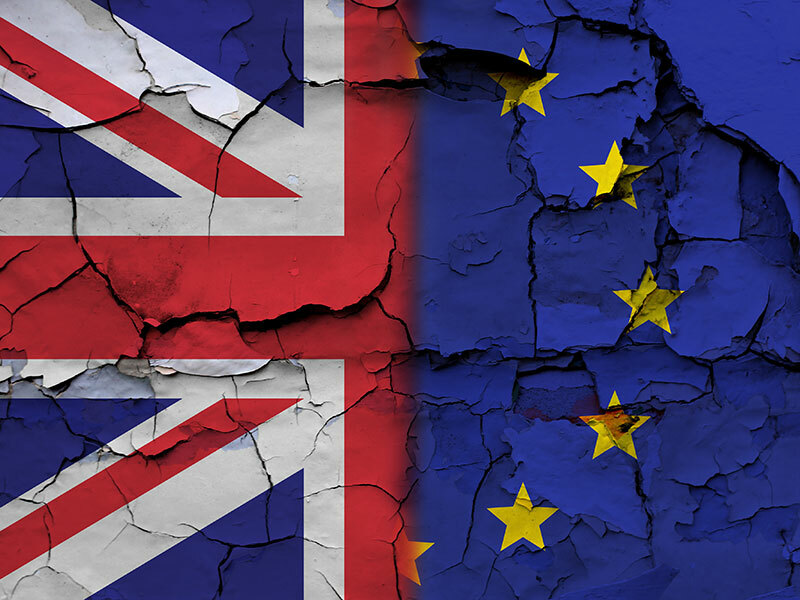 The question is whether Britain’s Exit from the EU is classed as a ‘cancellation of a club membership’, in which all rights would be forfeited, or a ‘divorce’ – meaning that the UK would be liable for a share of the EU’s assets, perhaps offsetting the bill altogether. Although the European Chief Negotiator, Michel Barnier, said the fee must be paid before the UK even begins other talks regarding the country’s EU exit, Conservative David Davis suggests that UK taxpayers have contributed vast sums into the EU over past four decades and have – essentially – paid their dues. The latest ruling by the European Court of Justice has significantly improved the way the EU will handle trade negotiation powers with the UK. Instead of each individual decision consulting the 38 local and national parliaments, the ECJ ruling gives full powers to Brussels on key areas, including financial services and transport. The ruling came as US President Donald Trump announced at the G20 summit last week that he expected a trade deal with the UK would be completed, “Very, very quickly.” Which promised good news for Britain’s popularity in the trade agreement stakes. Actually this is a double-edged sword as, although imports become cheaper, allowing retailers to sell food and white goods at lower costs, the exported goods and services that we offer then become more expensive. Leaving the EU should offer up many more trading routes, but if we price ourselves out of the market then the balance of payments will swing the pendulum out of our favour. Going back to the club vs divorce analogy, the UK Brexit department currently forecasts outstanding debt to the EU of around £3billion but if the European Chief Negotiator, Michel Barnier, gets his way the UK could be asked to pay up-to £65.1billion – that’s quite a termination fee! A no-deal scenario would have severe consequences for the UK people and the economies that could cause disruption to air transport (Ryanair has already warned it may have to suspend European flights in March 2019 when Brexit takes place) and long queues at the Channel port of Dover. Not to mention the disruption of supply chains and the long list of consequences waiting in limbo could bring. Hand in hand with inflation is the growth of the pound. The effects of Brexit have been felt nowhere greater than in the currency markets with sterling having dropped between 10 and 15 percent against the Euro and the Dollar. So while – for the British people – ordinary goods become more expensive, actually the UK becomes a huge tourist attraction for the rest of the world where they get more for their money. It’s a phenomenon that has already been confirmed by the Office of National Statistics which has tracked a rise month by month since the referendum of visitors to the UK, excluding the month of October where it took a slight dip. However, regardless of speculation, the only thing certain between now and March 2019 is that things will change.